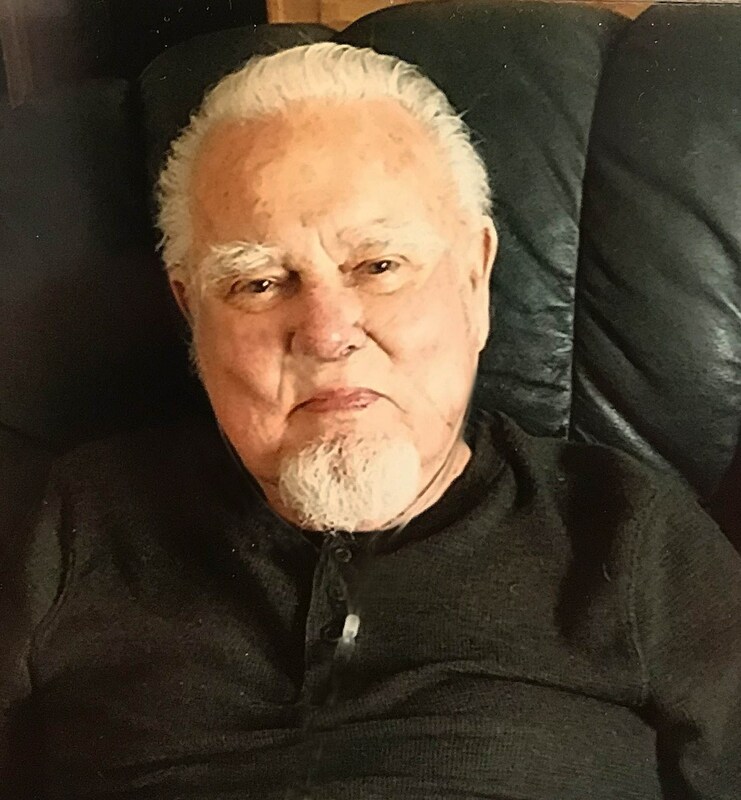 BURLEY – Kenneth Ray Ames, age 81, of Burley and formerly of Albion, passed away Tuesday, May 22, 2018, at his home. He is once again with his wife, Elma, who passed away seven months ago. Kenny was born December 14, 1936, to Russell L. and Dorothy L. Wingert Ames in Ansley, Nebraska. Later, his younger brother, Keith, was born. Kenny’s father worked for Union Pacific Railroad and the family moved from Nebraska to Caldwell, Idaho, and then on to California. At the age of 17, Kenny also went to work for the Union Pacific Railroad. He met his wife-to-be, Elma Kay Grafton, a couple of years later at a drive-in where he had stopped for French fries. After only a couple weeks of dating, they decided to drive to Mexico to be married. Kenny worked other jobs as a mechanic and truck driver, in addition to working for the railroad, so that Elma didn’t have to work outside the home. In 1970, they moved to Albion for the clean air. After 45 years, he retired from the railroad. He loved fishing, hunting and collecting guns. He was a gunsmith and also did leather tooling. He became an excellent woodworker and did beautiful work. His life was deeply intertwined with Elma; they even shared the same date of birth in the same state. He was heartbroken after her passing. Kenny was a great man and he will be missed immensely. He loved his grandchildren so much and loved to teach them everything he could. In addition to his wife, he was preceded in death by his parents; his brother; a grandson, Jacob Gutierrez; and one great-granddaughter, Shaelinn Goffinet. He is survived by his daughter, Celie (Tom) Timmons of Rupert; son, Brian (Jan) Ames of Burley; sister-in-law, Dana (John) Justice of Twin Falls; brother-in-law, Lee Grafton of Twin Falls; sister-in-law, Harriet Ames of Casper, Wyoming; six grandchildren; 16 great-grandchildren; ten great-great-grandchildren; and numerous step-grands. A memorial service will be held at 11 a.m. Saturday, June 2, at Rasmussen Funeral Home, 1350 E. 16th St., in Burley. Following the service, Kenny will be placed alongside his wife, Elma, to rest in the Albion City Cemetery.